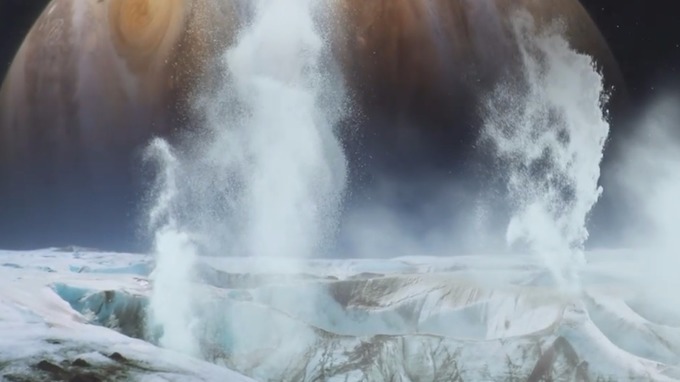 A research adds a lot of weight to the claims that water plumes exist on Europa. As water is a vital ingredient for supporting life, scientists are searching for its traces in different parts of the universe. Europa, a Moon of Jupiter, is one of the main contenders for fostering life in our solar system. The claim that it has got plumes of water vapors above its icy shell was reinforced by the latest research. Hubble Space Telescope of NASA took ultraviolet images of Europa in 2012 which indicated the presence of these plumes. However, those measurements were near the limits of the Hubble’s sensitivity. This new study analyzed the data collected by Galileo Spacecraft of NASA in 1997. It flew much closer to the source so the evidence provided by this spacecraft holds a lot of importance. Xianzhe Jia, the lead author of this study and a Space Physicist at the University of Michigan, led the team of scientists which discovered that the Galileo spacecraft probably flew through a plume of water vapors. Researchers are confident that there is a sub-surface ocean beneath the frozen crust of this moon and the cracks in its surface allowed the vapors to come up. Jia is also investigating two instruments that will be used in ‘Europa Clipper’, an upcoming mission of NASA to explore the chances of habitability on Europa. Europa is nearly as big as our moon. A lot of scientists believe that it homes twice as much water as Earth in a deep ocean beneath the icy shell. As this ocean interacts with the rocky core of the moon, a lot of astrobiologists consider it as one of the most suitable places for harboring alien life in our solar system. Enceladus, the icy moon of Saturn, sends a lot of material including water ice into space as 100 individual geysers are found near its south pole. It also holds a subsurface ocean which sprays these plumes. Scientists can search for signs of life through these plumes without even touching the surface of the heavenly body. In 1997, the team of Galileo didn’t suspect that the spacecraft is passing through a plume but Jia and his team are confident about that after analyzing the gathered data. While figuring out the plumes on Enceladus, scientists found that the material in plumes becomes ionized and leaves a characteristic blip in the magnetic field. Jia’s team used this piece of information to explain the localized bend in the magnetic field of Europa. Galileo was equipped with a Plasma Wave Spectrometer and its data also supported the claims that a plume is there on Europa. In order to seal the deal, 3D modeling was used. The wave signatures of plasma and magnetometry were fed to a new 3D modeling system.